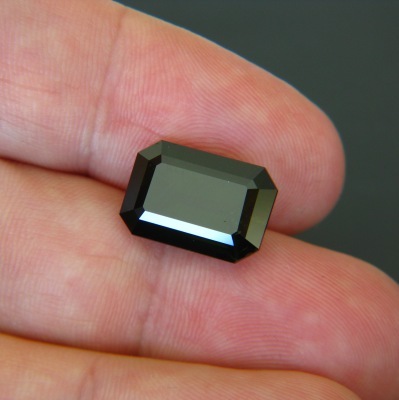 Comment: Massive mystic dark green zircon. Though very dark it clearly shows a green character. See how colours show in the side views. 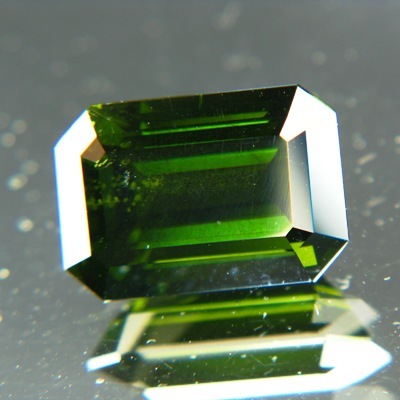 Surely not your everyday gemstone. Giant, perhaps only feasible in a 10+ ringsize or cocktail design, or pendant. 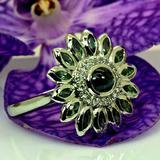 All natural durable zircon. Austere emerald cut, precisely executed. Not easy to find size with no visible inclusions. 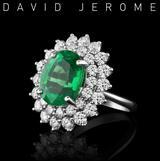 Barely $250/carat in a certified plus 10 carats untreated and clean gemstone. Beat that!